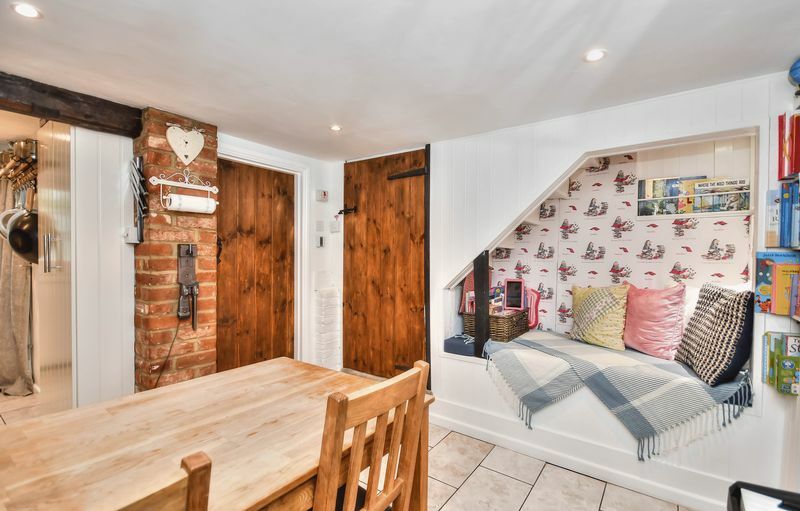 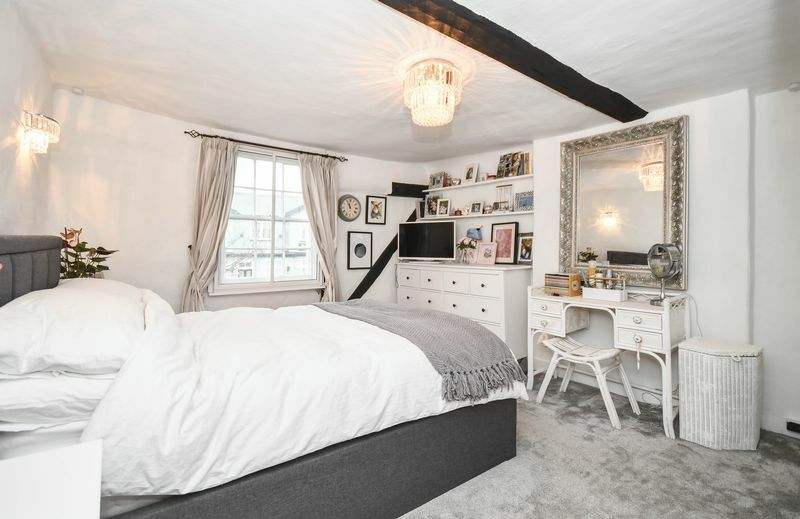 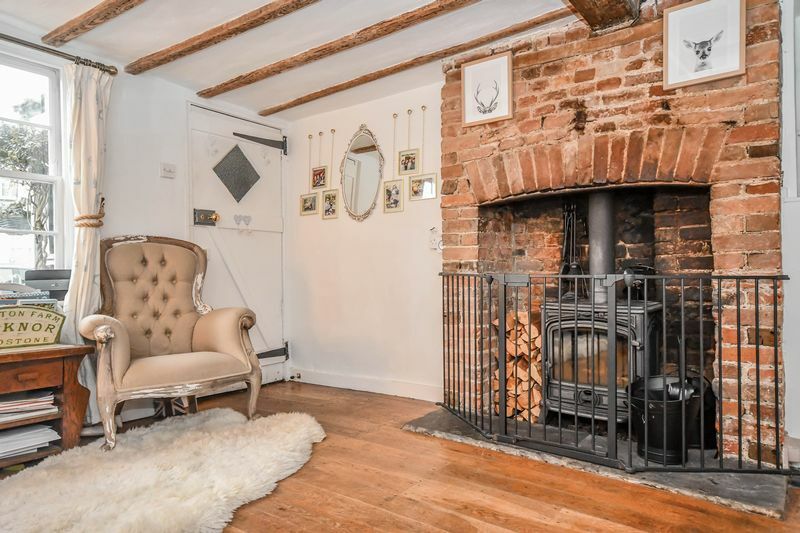 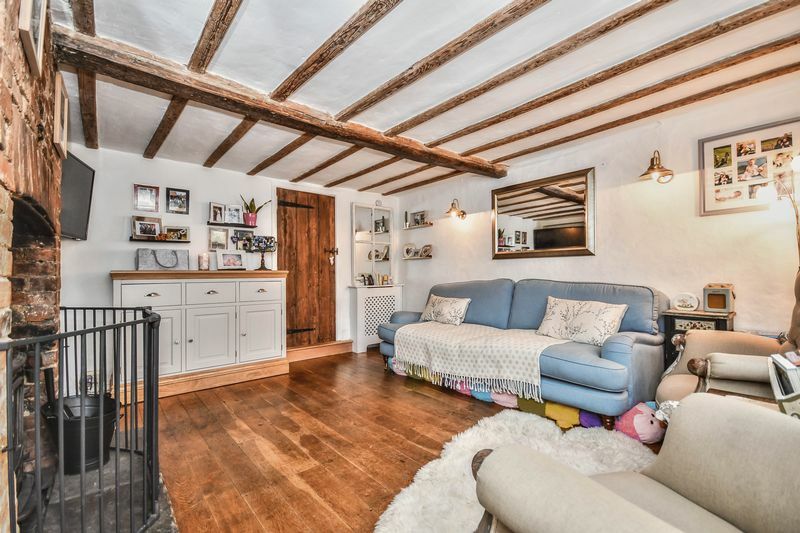 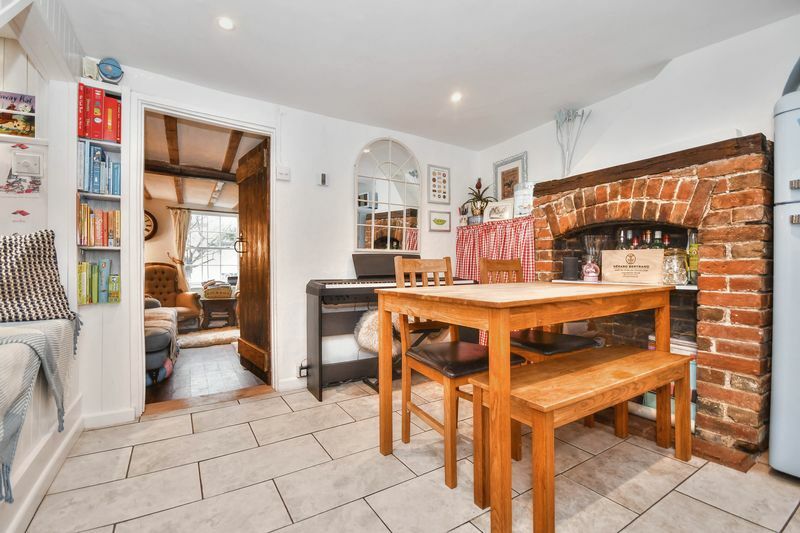 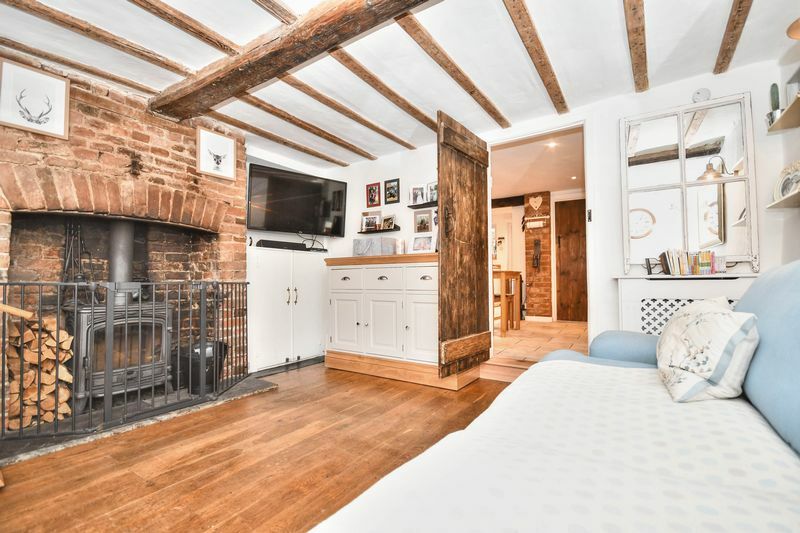 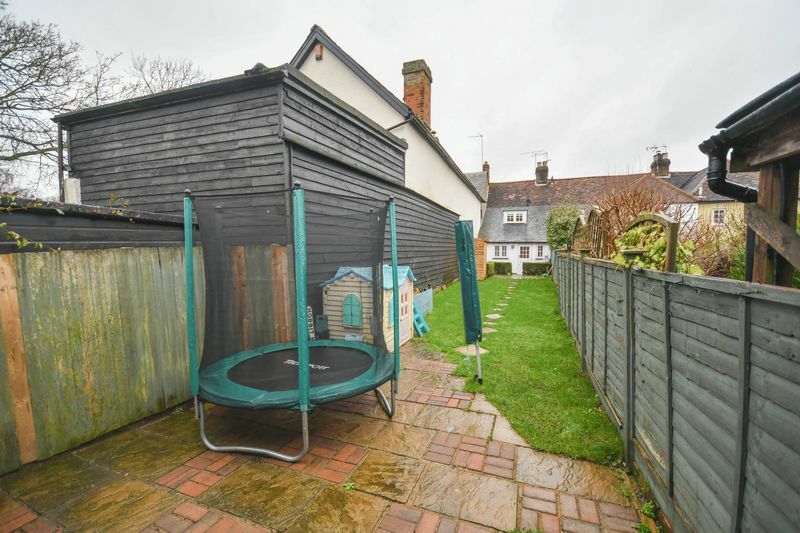 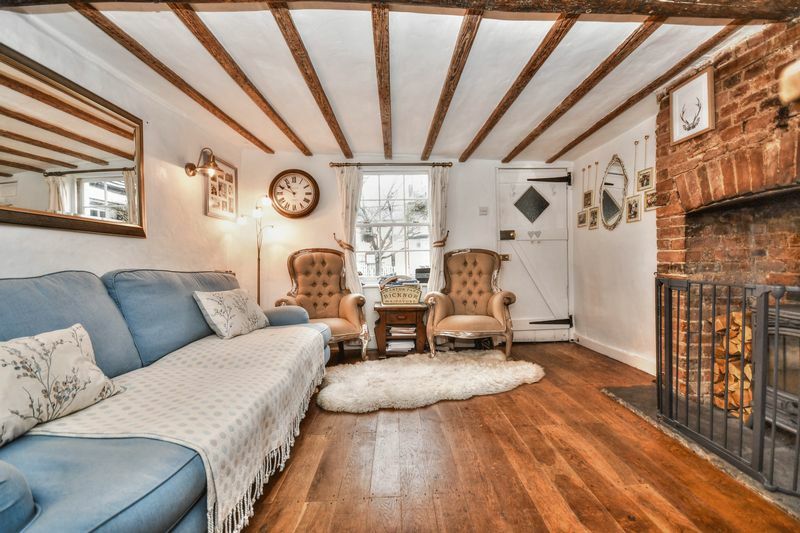 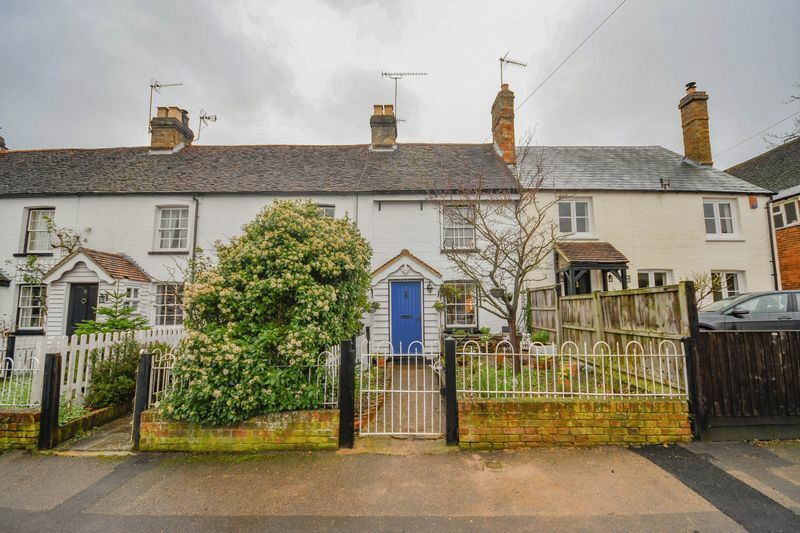 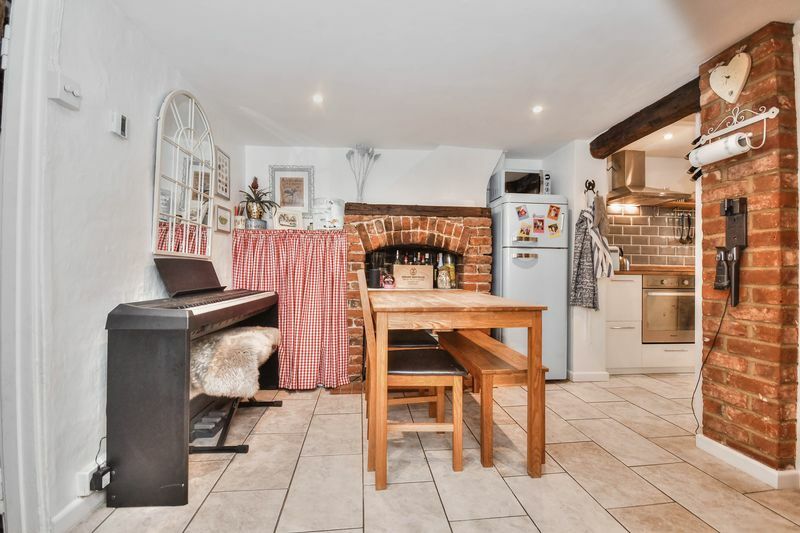 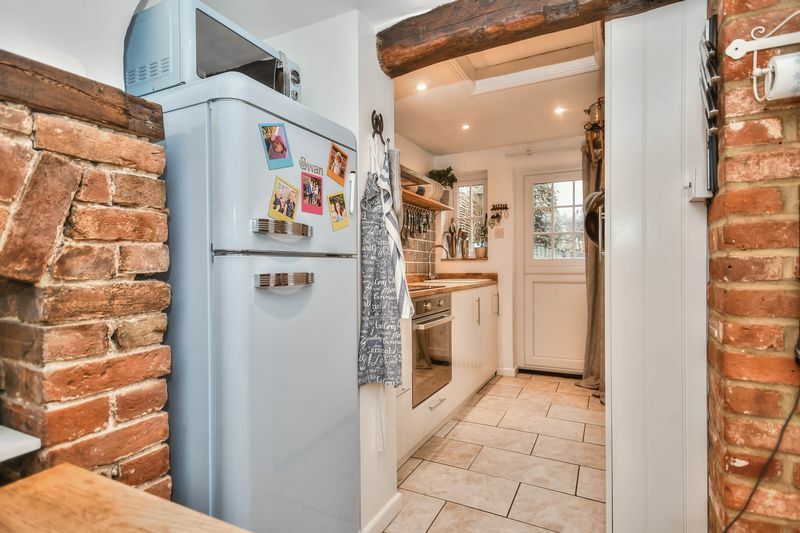 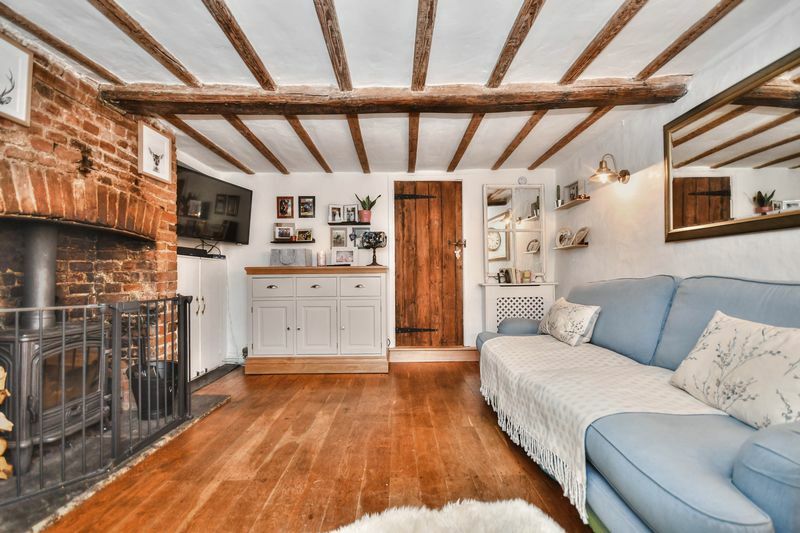 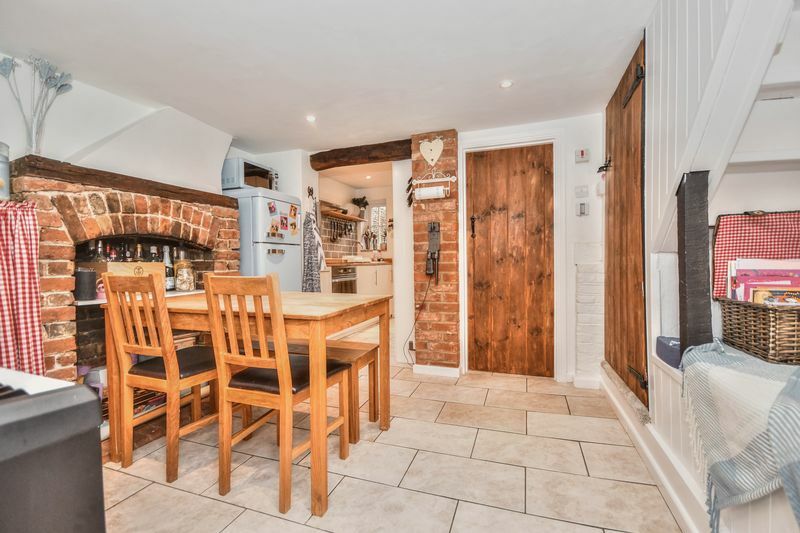 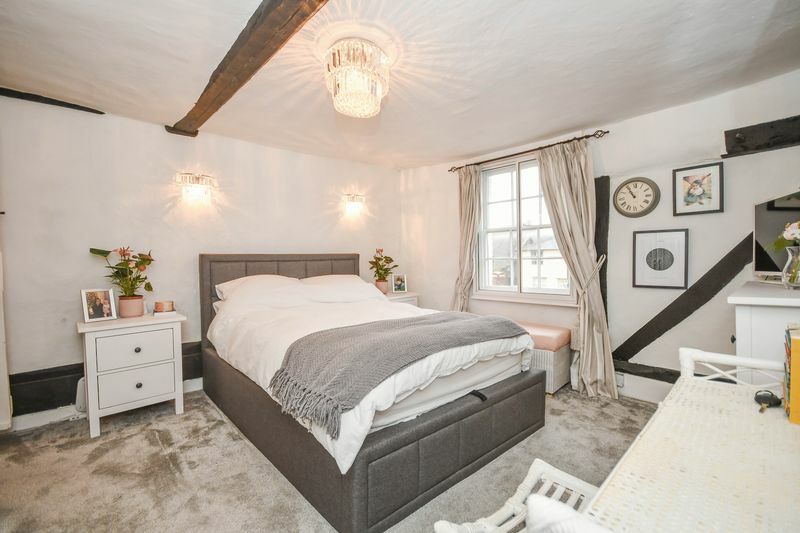 Elliot Heath are delighted to offer for sale this beautifully presented two bedroom character cottage on the idyllic High Street of Widford. 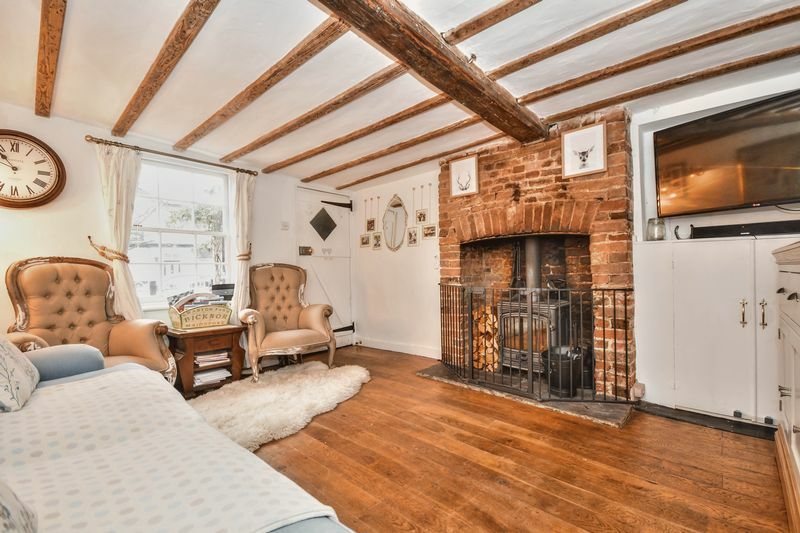 The property is beautifully kept and offers many original features including exposed beams, stripped wood flooring and an open fireplace. 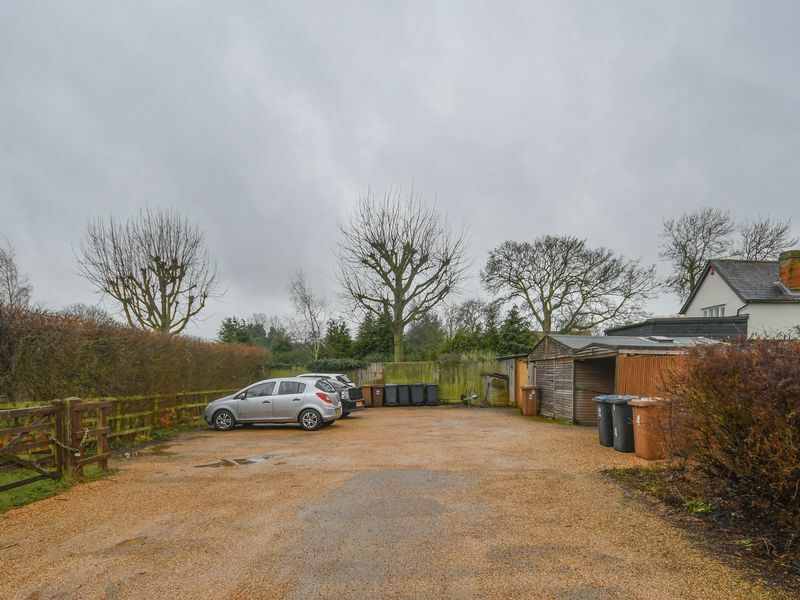 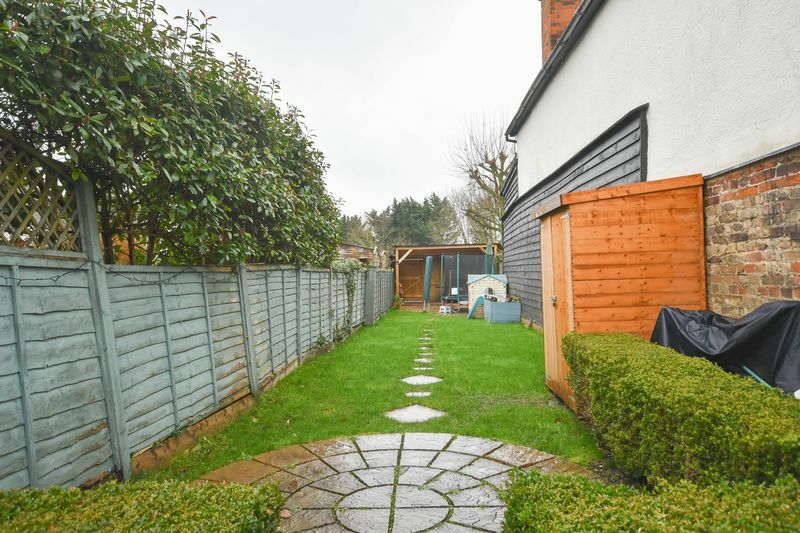 The property benefits from a separate living and dining room, kitchen, bathroom and two double bedrooms, well kept garden and parking to the rear. 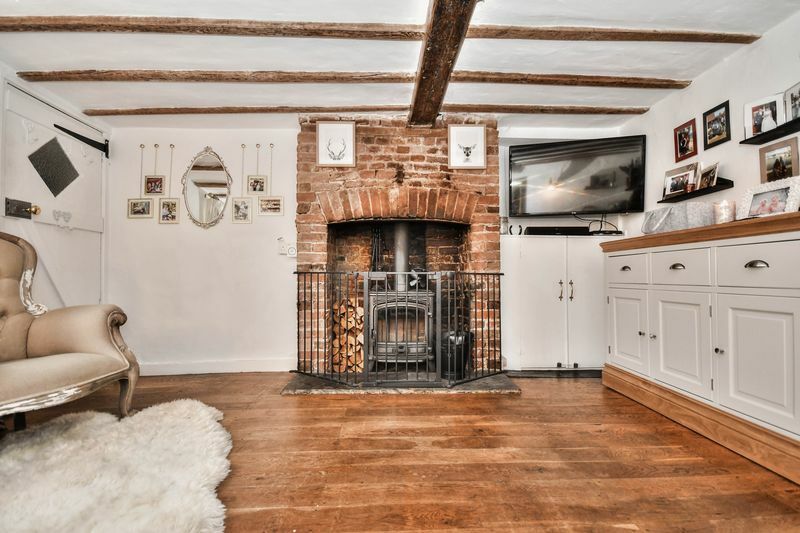 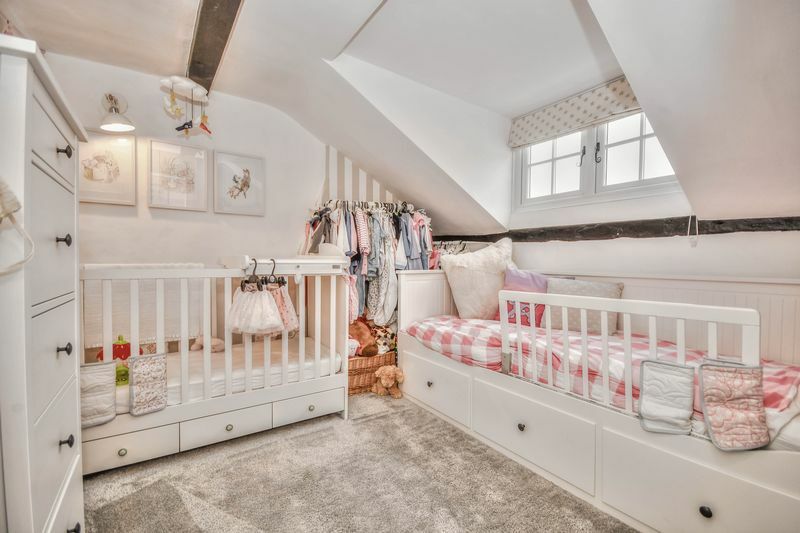 To arrange your appointment to view please call 01920 293333. 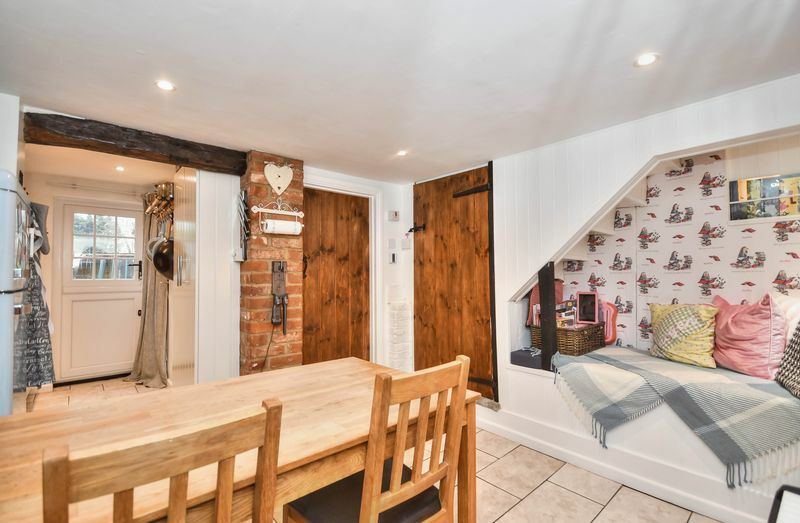 With Upvc double glazed stable door giving access to the rear garden. 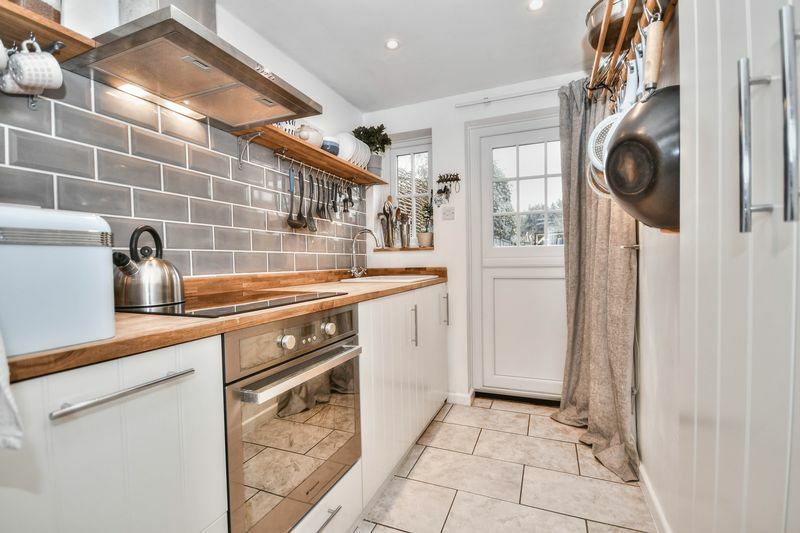 Fitted with a range of wall and base storage units with Oak work surfaces over, inset ceramic sink with mixer tap, built in oven with hob and extractor fan over, tiled splash back areas, integrated washing machine, tiled flooring with under floor heating. 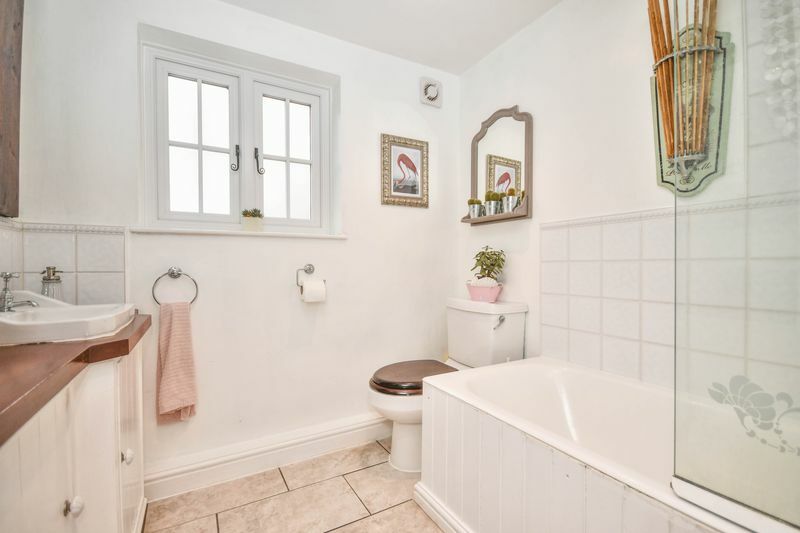 With window to rear aspect. 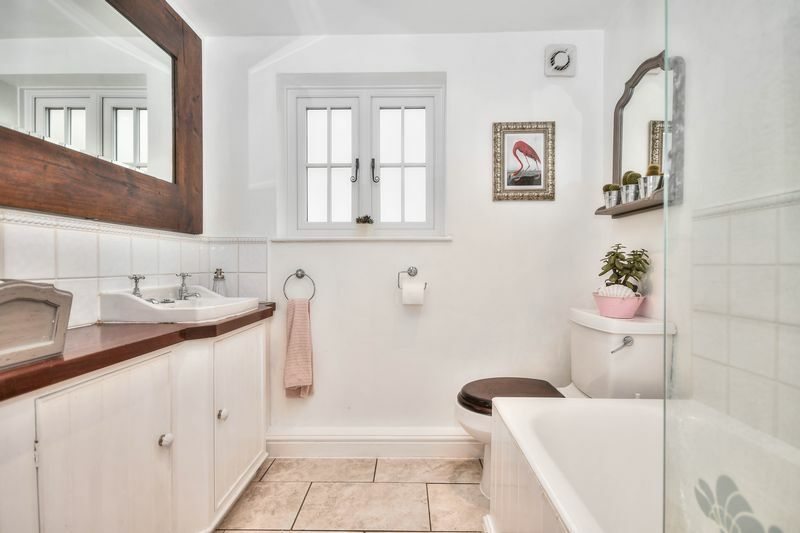 Fitted with a suite comprising panel enclosed bath with shower over and glass shower screen, wc, inset wash hand basin with cupboard enclosures under, tiled splash back areas, tiled flooring with under floor heating. 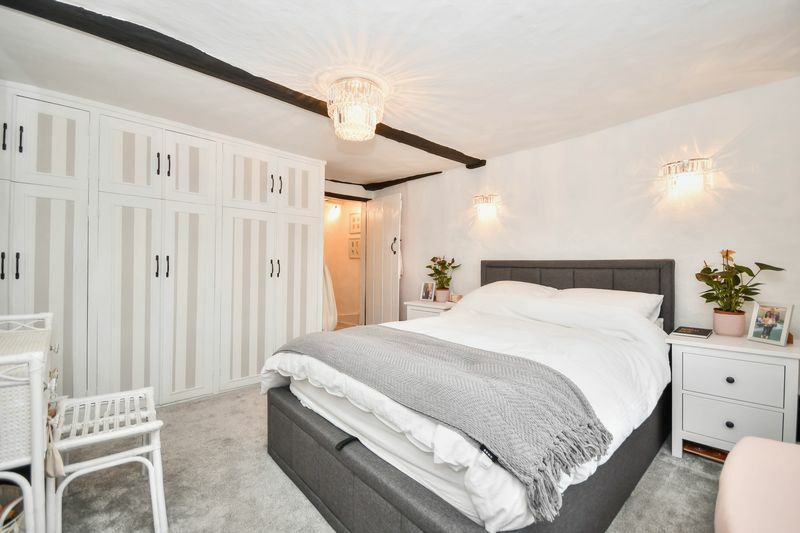 With sash window to front aspect, fitted wardrobe cupboards. 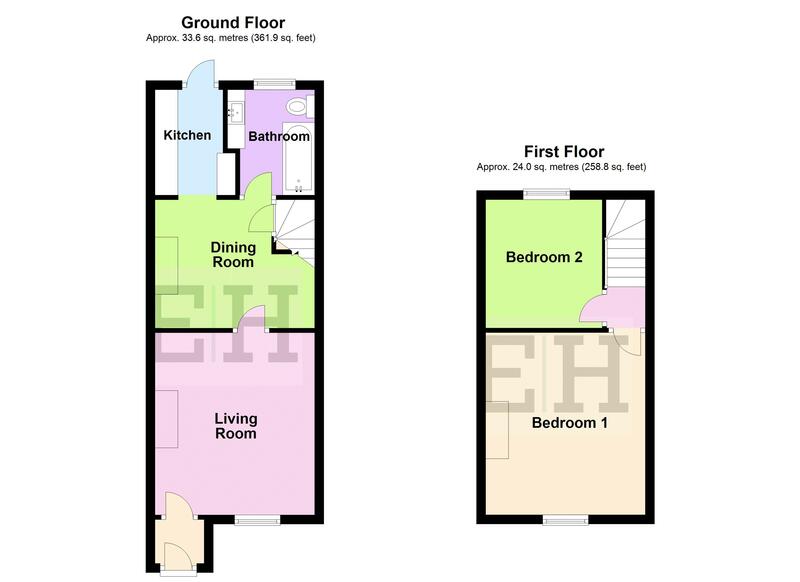 With Upvc double glazed window to rear aspect. 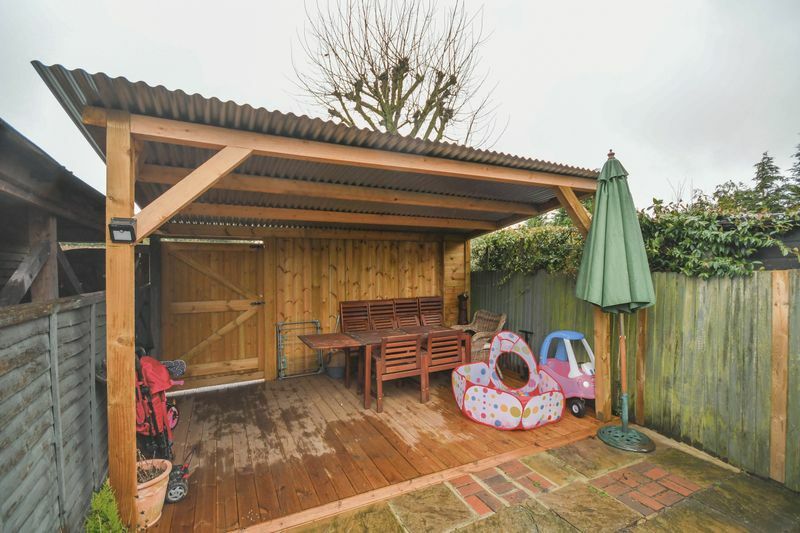 The rear garden is predominantly laid to lawn with patio and covered decked seating area to the rear. 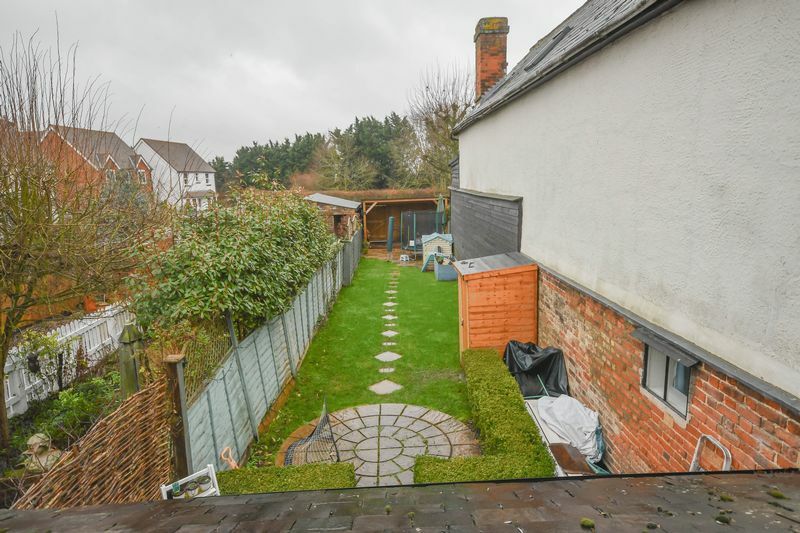 Rear gated access to parking area.